I am the first to support and understand the need to use CES Curriculum and support when teaching Seminary. When preparing Seminary lessons, I am careful to use stories, quotes, and examples straight from the teachings of ancient and modern day Prophets and Apostles. 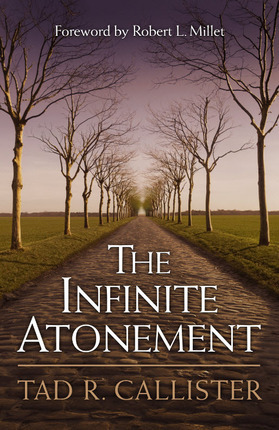 With that in mind, I highly recommend this book, The Infinite Atonement, by Tad R Callister to Seminary, Institute, and all teachers and students of the gospel ofJesus Christ. As I started reading it, I could hardly complete my thoughts of wishing I had had this book as I was teaching The New Testament this year when I was interrupted by thoughts and feelings of gratitude for having found this book before I teach The Book of Mormon next year. After a week of shopping in Utah, I purchased this book on my way to the airport. All week, each time I would see this book in various book stores, I was drawn to it but put it down when I saw the price of $24.99. I am still not sure what made me go ahead and spend the money but is was the best use of money on my entire trip. I wish I could afford to purchase one for each of my 6 graduating Seniors. This book is extremely well-written and organized. It is easy to follow and understand, yet there is depth and meaning in every word. Sometimes a book that is so packed with information becomes overwhelming and I get lost in the depth. This is not the case with The Infinite Atonement. The information is so well organized and presented, it leaves little room for thoughts to wander. It is not a “quick-scan-the pages-read” as you will want to pause and highlight many, many sentences and paragraphs. Plan to have a highlighter and pen in hand as you read. In addition to highlighting, I have made many notes in the margins with my pen. This is a resource you will not read once and put on the bookshelf never to open again. It will be used as a reference for many years going forward. Even the footnotes deserve careful attention and highlighting. Thank you, Tad Callister for devoting your life to this work that will literally change my life.